This week Awesome Stories brings you compassionate teaching, passionate service, inspired architecture, and inspired writing. Rob Miller, a teacher in Oklahoma wrote this touching story about the responsibility as teachers to treat the children in our care as ours. In other words, to accept responsibility for their care and education as if they belonged to us. He calls for us to dig deep, offering kindness and compassion to all kids, especially the difficult ones. Rob calls this approach hugging a porcupine. Read this touching story from Rob about teaching a difficult student who turned his life around, and the passionate call to be better teachers. Goutham Kumar left the corporate world to follow his passion for service. 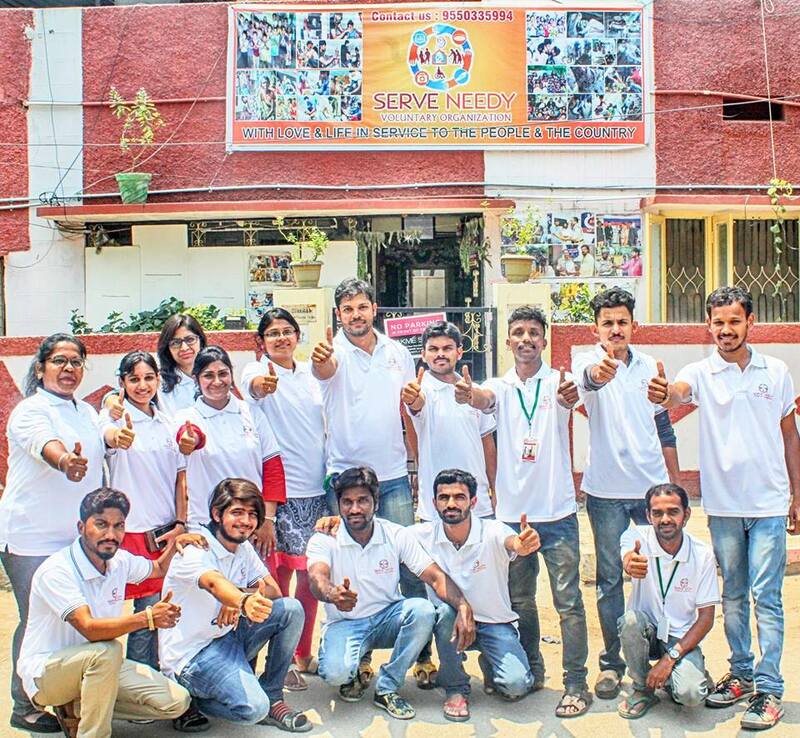 Gotham started an NGO called Serve Needy to ensure that no one in his city will go hungry. He and his volunteers work to distribute leftover food from businesses to the needy citizens of Hyderabad, India. But feeding the hungry is just 1 of 14 projects that Goutham is involved with! He also works to rehabilitate the homeless, serve cancer patients, provide personal care, smiles, love and blankets, plus they’ve recently added emergency ambulance services. Clearly, Goutham has a passion for service! As you may know, I aspire to inspire my readers with poetry, photos, and stories of human potential. I don’t know that I’ve reached the levels of inspired writing yet, but it’s good to know that good writing has the potential to impact and inspire others. According to research, the more the writers were inspired while writing, the more the control group of readers rated the poems as insightful, pleasant, original, and sublime! Inspired writing also tends to bring out awe and chills in the readers. I have that feeling occasionally reader other blogs or mystic poetry like Rumi’s. Another finding is that inspired writing (or other art), comes from our deepest inner truth and often resonates deeply with others. Marc Kushner offers a passionate view of the future of architecture. Marc believes architecture is not about the building codes and structures as much as it is about the feelings evoked by a building. Marc wants to help ensure innovative new designs are driven by the public, instead of driven by the architects and builders. Social media and the speed of digital communication is what is driving this exciting trend in architecture. Watch his TED Talk (the last 5″ are the best) for a light-hearted view of what architecture could become with more feedback and innovation. The Bahá’í Temple of Santiago, Chile, inspires me with its flowing lines, translucent materials and intention to be inclusive for people of all faiths. The project involved the collaboration of hundreds of people, computer modeling, custom glass, steel, and stone to create nine interwoven veils that frame an open worship space. 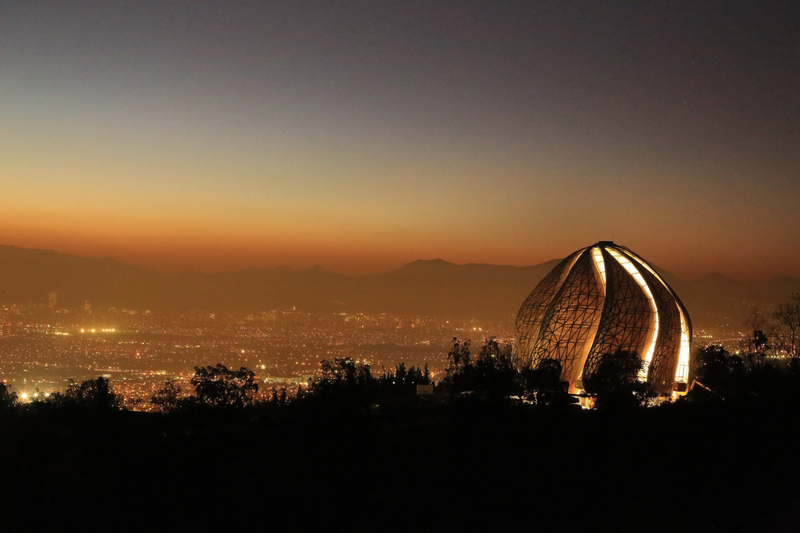 The temple was designed by Siamak Hariri to be a sacred space and has won several awards for innovation. What do you think? This is a truly inspiring post! Have a sensational Saturday. Hugs. Brad you have brought us yet more great stories.. Love that team who go out and volunteer to make sure left over food is not going to waste and gets to those who are needy..
That temple is something else.. stood on its own it looks out in now where from the pictures.. but what an interesting structure..
Like you Sue, I would prefer curves, domes and organic shapes and materials for a home. Have a wonderful week. Brad! Marc Kushner’s passion for architecture is infectious. Loved the TED talk. Next time I’m in Spain, I’m gonna have to look for the house that cow built. I’d love to send a day or 3 there. right? And I’m incredibly grateful for the help with my vocabulary. Now I know what to call the “style” that motivated the concrete jungle here in Bucharest. Brutalism. So true! It really is its own reward to wander as we wonder. Thank you Natalie. May your days be inspired. Good morning Brad…..Hugging a Porcupine…..I love that and it works. I also believe that teaching should begin with an act of compassion…..understanding that the person we are working with, no matter what age, gender, race, etc., has all the same human foibles and fears that everyone else has…no matter how confident they may appear to be. I often say we all present a veneer…..and so it’s getting beneath that surface in a gentle and loving way that can help a teacher to really connect with their charge. I learned later in life that service is key to good living. The more we give – quite selfishly the more we receive. Inspired writing is like inspired painting…..it comes alive when technical prowess is married with the intangible. – and then the magical can happen. Thank you for caring so deeply Janet. I agree about teaching and really all of us would benefit from approaching others with compassion and empathy. May we learn to live with compassion, generosity and harmony. 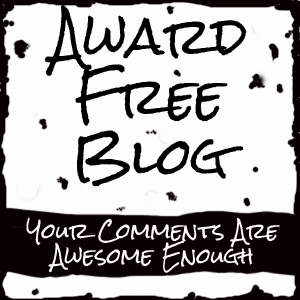 I loved the ‘hugging porcupines’ blog you shared!! Thank you.. Thanks Denise. It’s a fun and graphic analogy. It’s nice to “see” you here. I hope all is well in your life. The temple looks incredible….another great and inspiring post, Brad!! Thanks for sharing! Loved the first story, Brad! And all the other inspirational “stuff”. Inspiration means “in spirit ” and I believe we feel the spirit when we read inspirational writing or admire inspirational architecture … that temple is just wonderful!